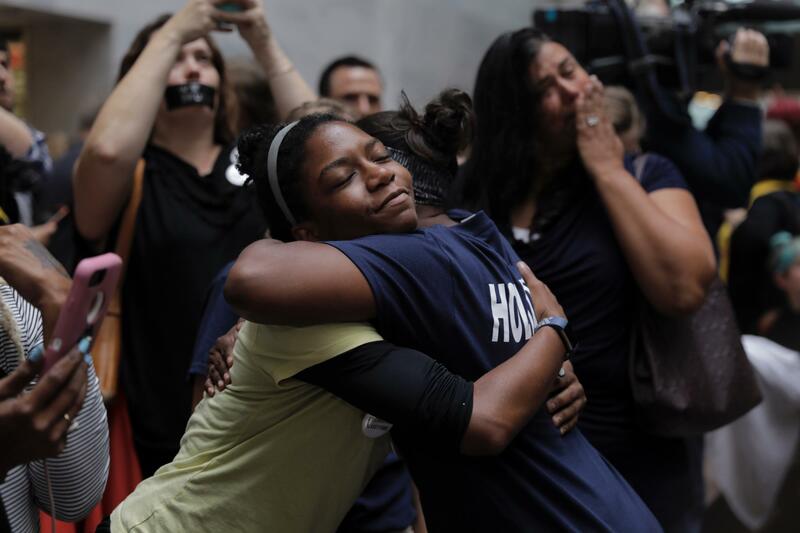 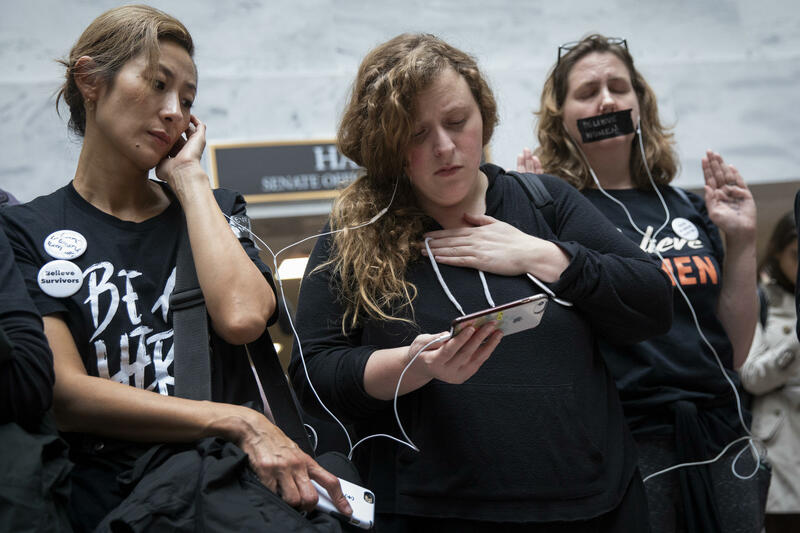 Protesters rallying against Kavanaugh watch testimony from Ford on a smartphone inside the Hart Senate Office Building in Washington, D.C.
Outside the Supreme Court, people gathered Thursday morning to protest Kavanaugh's nomination. 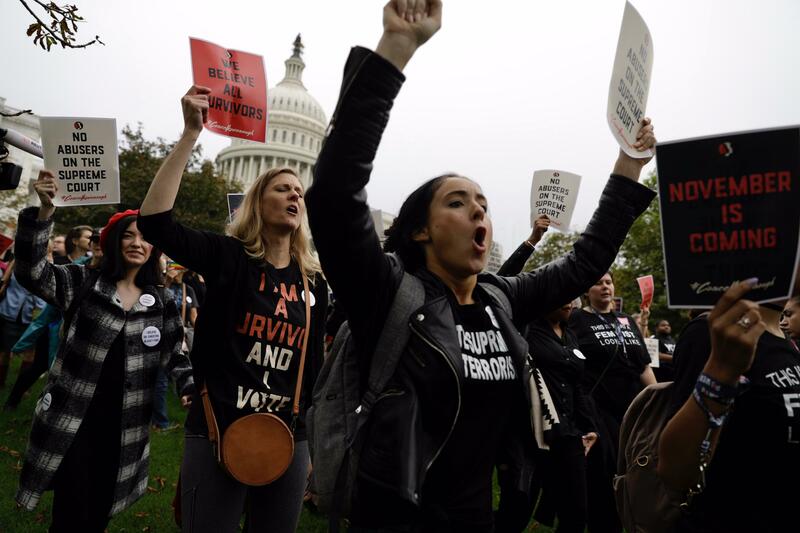 Demonstrators march in front of the Capitol. Holton Arms alumnae supporting each other and Ford in the Hart Senate Building. 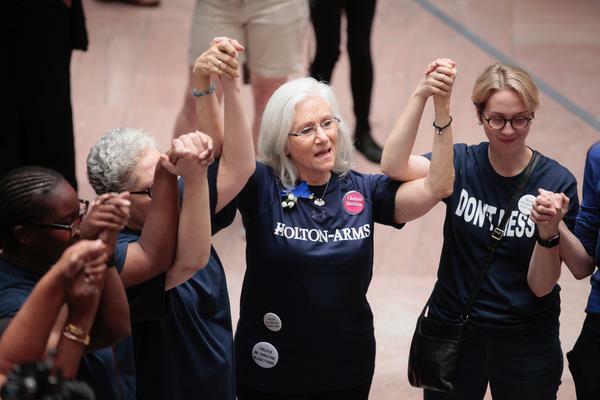 Holton Arms alumnae show their support for Christine Blasey Ford at the Hart Senate Office Building. Protesters in the Dirksen Building, not permitted on the floor of the hearing, lined the stairwells instead. 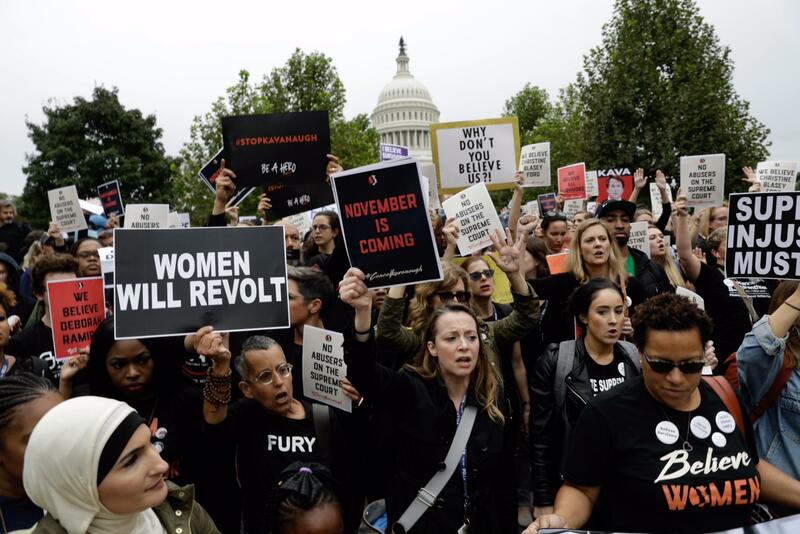 Outside the Kavanaugh hearing, people protest. 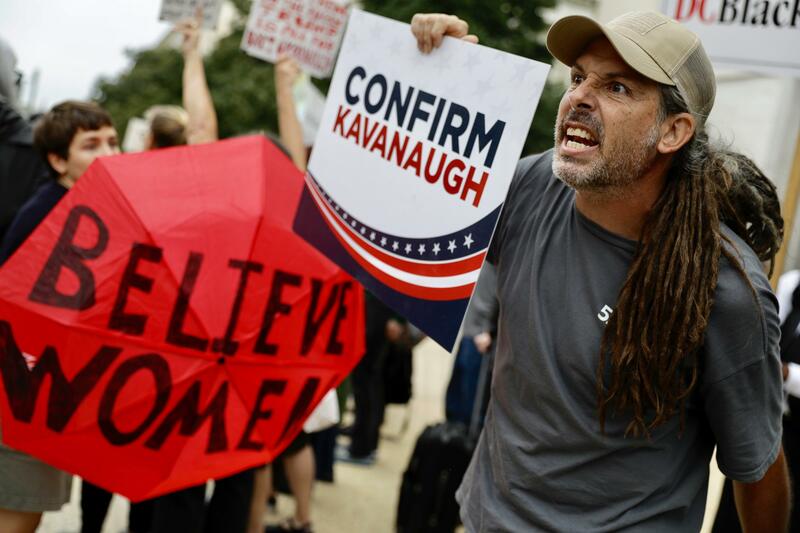 As the hearing goes on inside, a Kavanaugh supporter gets into an exchange of words with protesters. Protesters rally against Supreme Court nominee Brett Kavanaugh as they march near the Capitol. 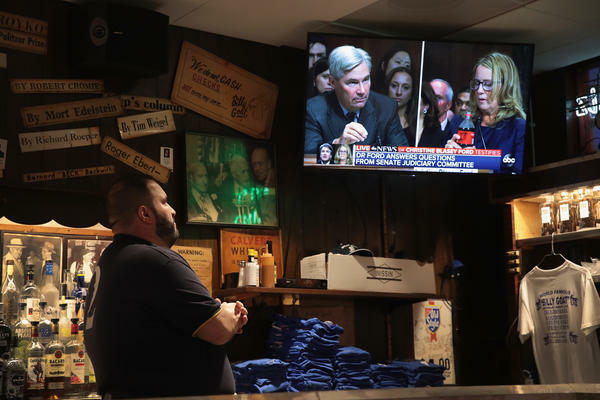 Adam Kruppa, bartender at the Billy Goat Tavern in Chicago, watches the testimony on a television at the bar. 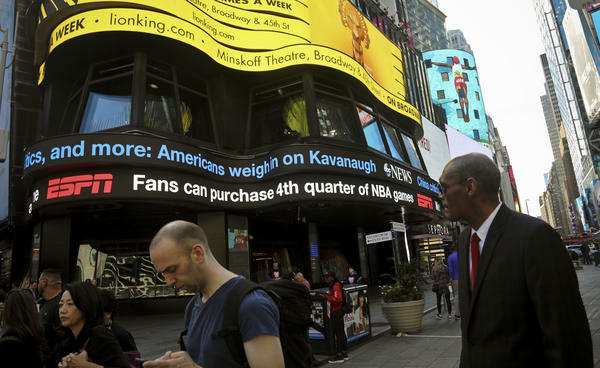 A news ticker in New York City's Times Square shows headlines about the Senate Judiciary Committee hearings. 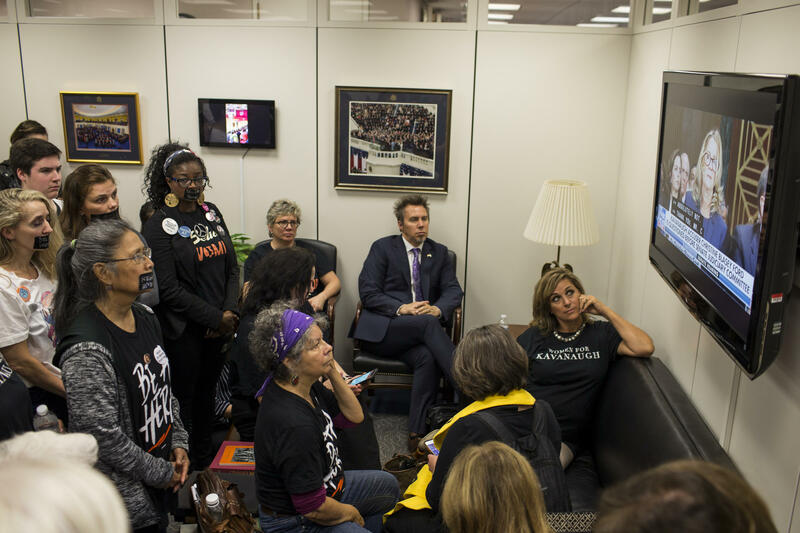 Protesters and supporters of Brett Kavanaugh's nomination watch Christine Blasey Ford's testimony from Sen. Chuck Grassley's office in Washington, D.C. 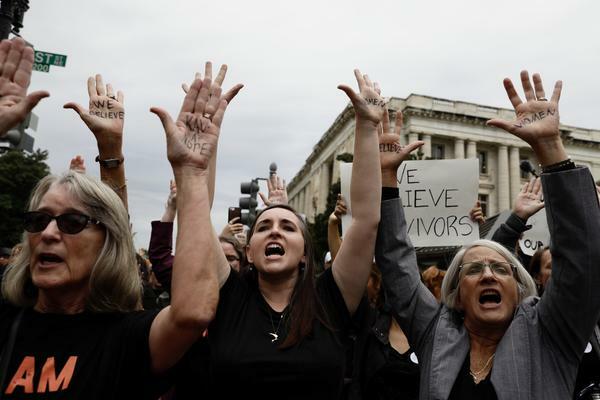 They watched in classrooms, where some students were the same ages as Ford or Kavanaugh, who were both high-schoolers when the assault allegedly took place. And, of course, they watched in Washington, D.C.
Recognizing the cultural moment, House Minority Leader Nancy Pelosi, D-Calif., and Sen. Bob Menendez, D-N.J., shared photos of themselves watching Ford's testimony. 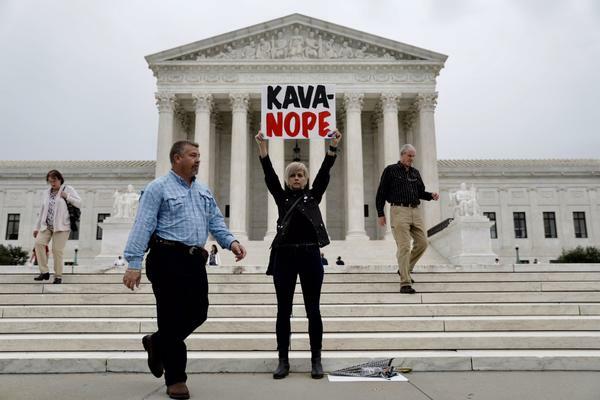 After nearly 2 1/2 hours, Ford's testimony and questioning ended. 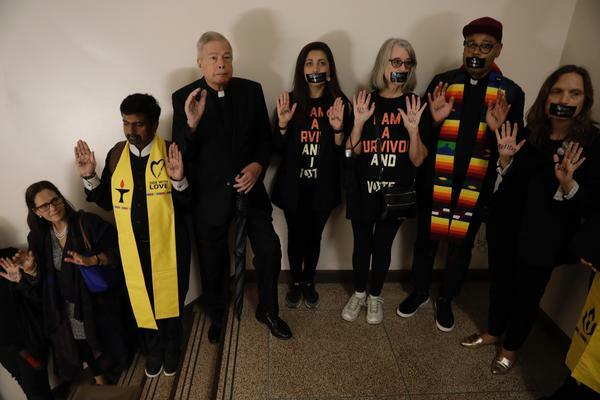 Kavanaugh arrived and sat before the committee to deliver his own testimony and submit to questioning.